I first fell in love with Peggy Porschen when I reviewed her book a few months ago. Good God. 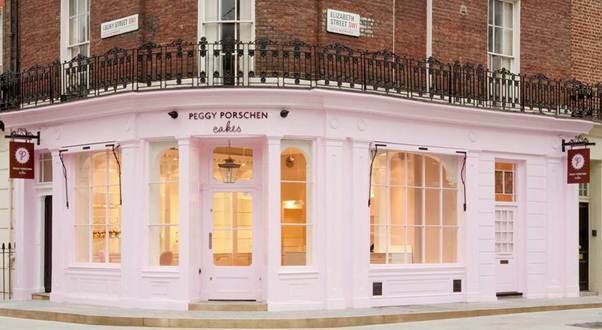 A pink shop full of cake. I even tested a marble bundt from her book. Amazing. From this moment forth, I was destined to go to her shop in London. 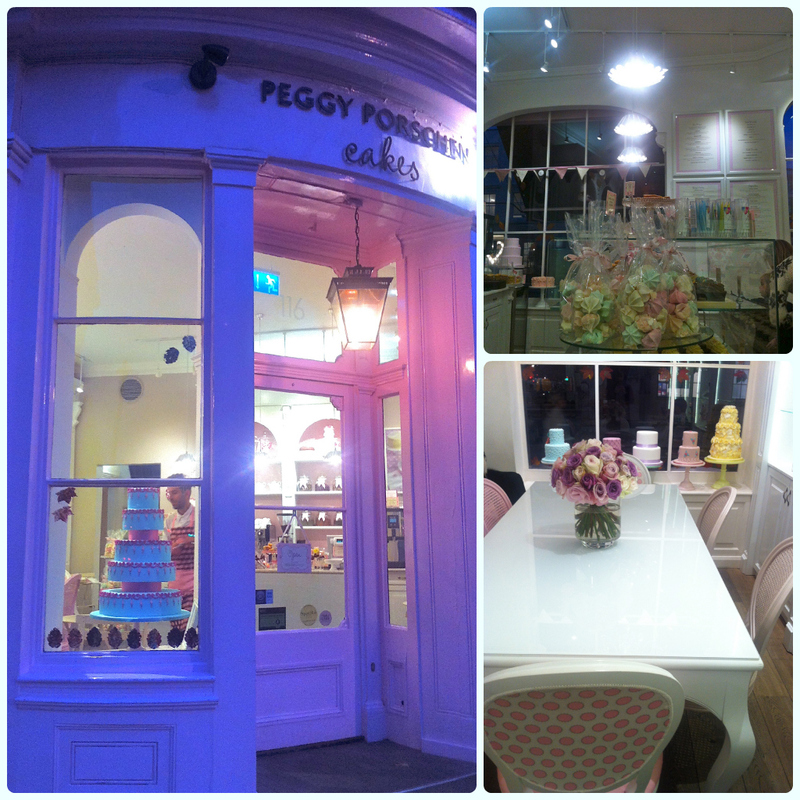 We went to Peggy Porschen about two hours after eating at St John. It was miles away from where we were staying, and meant a crazy treck through Belgravia in the dark, but I was going to this shop if it killed me. There it was. That familiar pink shop front. 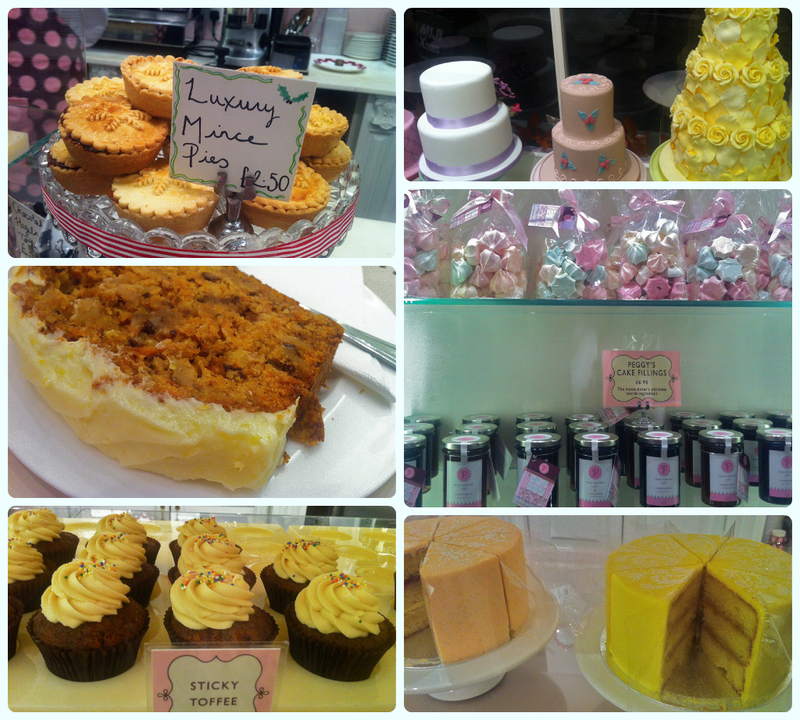 You walk through the door into a treasure trove of pastel perfection. Lamp shades are made from cake tins, labels are perfectly hand written, flowers decorate tables and there are edible goodies everywhere. If you're a lover of cake and find yourself in London, it's definitely worth a detour to Peggy's. 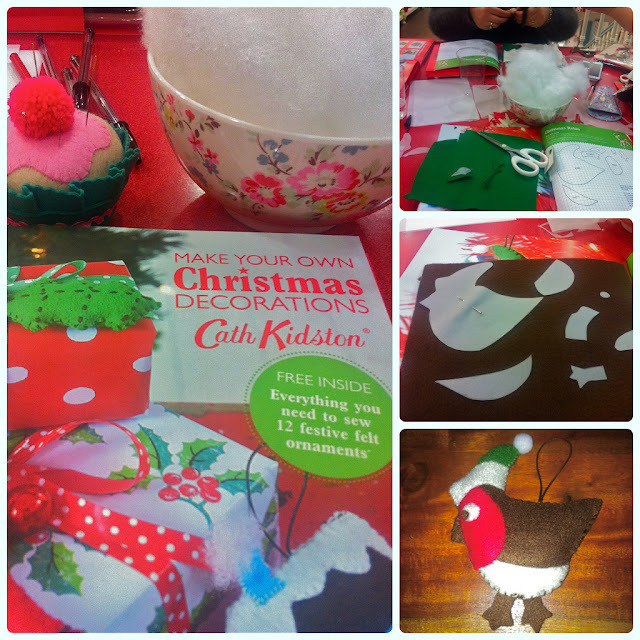 A few weeks ago I was sent a copy of Make Your Own Christmas Decorations by Cath Kidston. I was thrilled! I've been looking for an excuse to do a bit of the old Christmas crafting. About a week later, my friend Nicola asked if I fancied going to the Cath Kidston store in Manchester for a festive crafting evening. Do dogs pee up lamposts?! 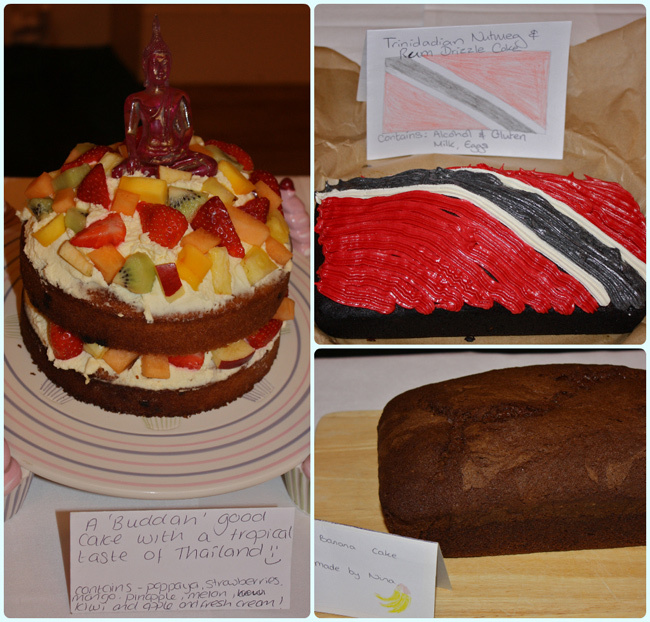 This was the perfect opportunity to try some of the projects included in the pack. They range from the ridiculously easy to more challenging items, so there is something for all abilities. These type of decorations actually look good if your sewing isn't up to much, so don't worry about it being perfect. The book does talk you through running stitch, straight edging stitch, blanket stitch and French knots, but most things can be done without any fancy needlework at all. From start to finish it probably took me about an hour and a half, and I haven't sewn much since second year technology at school! I'm just hoping I get the time to make a few more! This is a great little book because it won't frustrate the hell out of you if you are a little less than crafty, but the finished products are fantastic. I can't wait to put my little robin on my tree! This week I finally received my Holiday Tree Bundt® tin. I have wanted it for over a year, but it seemed weird buying it in the summer months. It's getting chilly outside, Bonfire Night has been and gone and the Coca Cola advert is now on the telly. This means one thing. 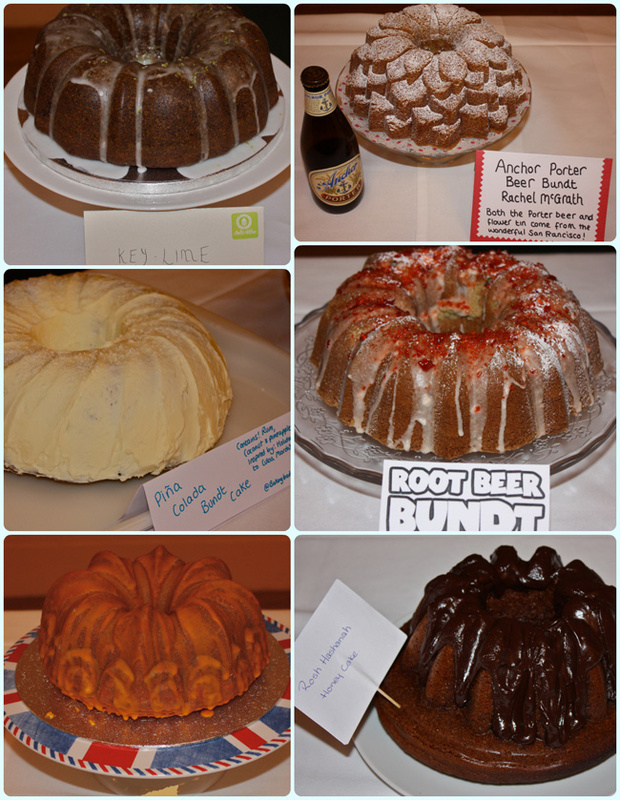 Christmas bundt® time boys and girls! Measure the yogurt, honey and extract in a jug. Give it a quick mix. Scatter in the crystallised ginger. Leave to cool for 10 minutes before turning out. I decided to make a Craft Beer Bundt® for two reasons. 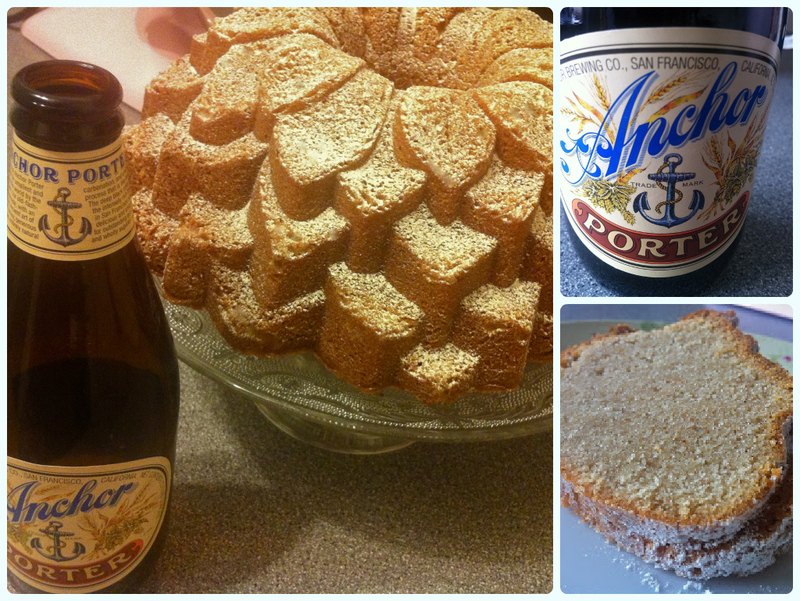 I could use the beautiful blossom tin I bought in Williams Sonoma and craft beer from Anchor; both in San Francisco. We had been on a tour of the brewery whilst on holiday, so this beer holds happy memories! I chose their Porter because of it's thick texture and spicy scent. Add the vanilla extract to the beer. Give the whole thing a quick whizz for about 10 seconds or until well combined. It will no longer look curdled. Bake at gas 3/160 C for about an hour and 45 minutes. Just turn it after about an hour. 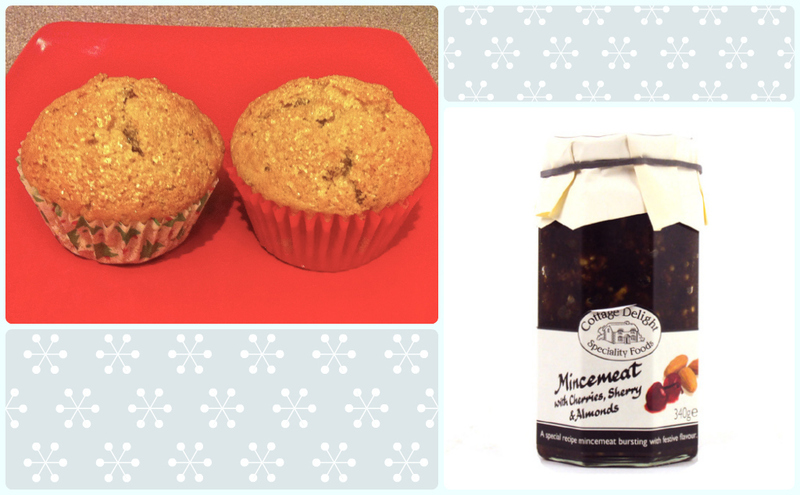 Allow to cool fully before dusting with a little icing sugar mixed with ginger. 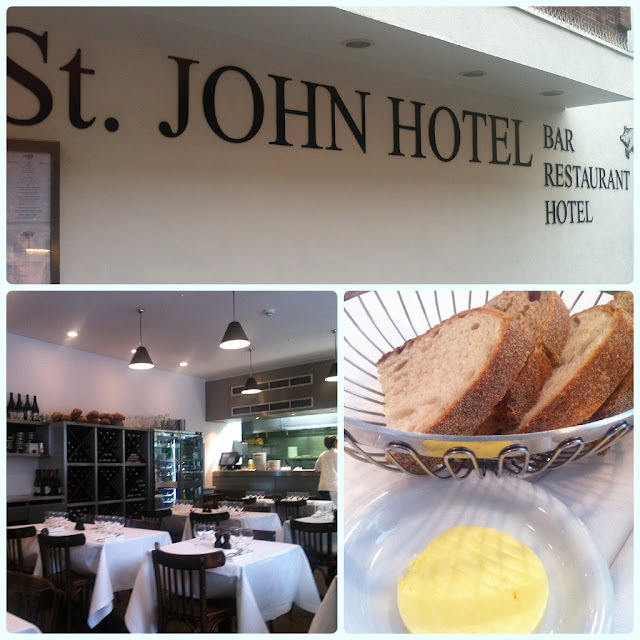 Last year we visited the iconic 'Nose to Tail' restaurant, St John in Smithfield, London. I'm not a fan of offal myself, but my husband loves it. However, I have to say that our meal at St John was one of the best we have ever had. I had pork with simple vegetables and parsley sauce. 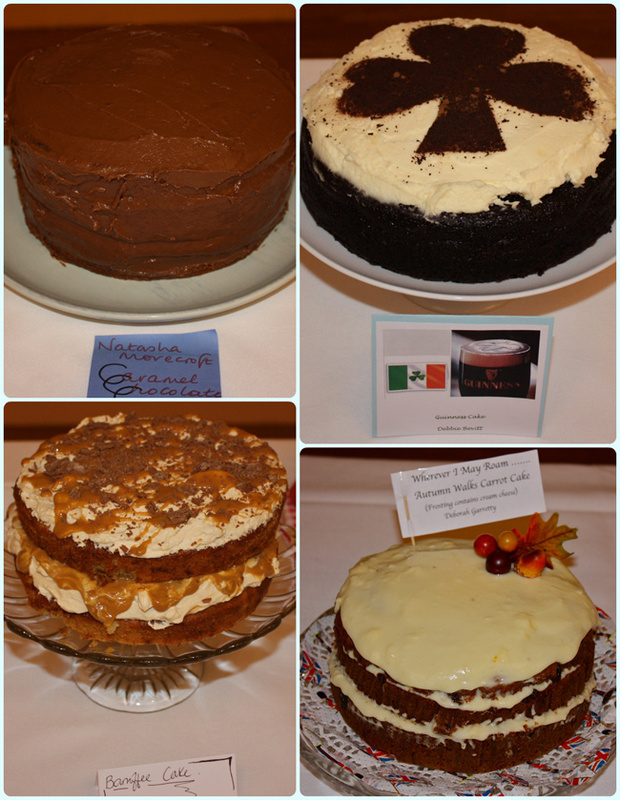 The desserts were also fantastic. When My husband wanted to go back, I didn't put up much of a protest! I knew that Fergus Henderson and Trevor Gulliver had opened a new St John in Chinatown, complete with its own hotel. 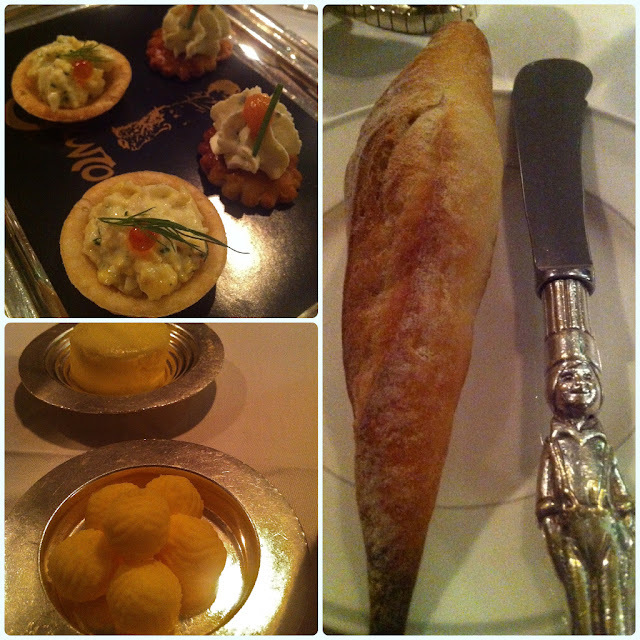 It was awarded a Michelin star in this year's guide, so I booked us in. This restaurant doesn't follow the usual starter, main, dessert format; rather they encourage you to pick around four smaller dishes to share. 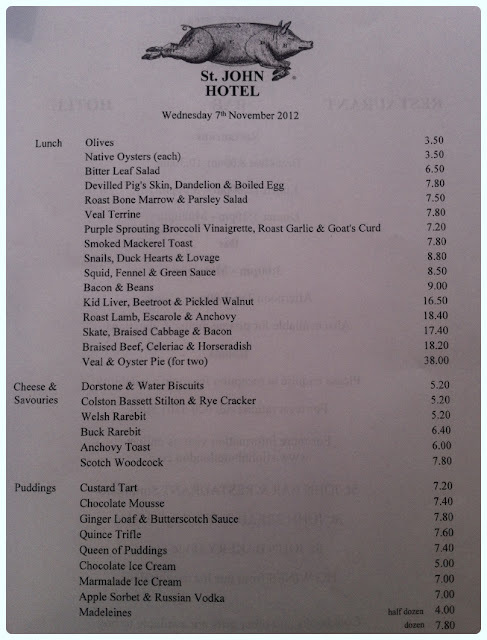 On the way down to London my husband excitedly looked through the day's menu, only to find a disclaimer at the bottom of the screen stating that St John Hotel was in administration. A little concerned, we decided to go anyway as there was nothing online to suggest that anything else had changed. Caterer Search published an article on 26th October explaining that the hotel had cost much more than anticipated, and opened way after it was scheduled to. When we arrived there was the usual warm welcome you would expect from the Smithfield restaurant. Everything looked in order. The kitchen is open so I got to have a good nosy at what was going on, home made breads were piled high on shelves and blackboards were filled with specials and one off bottles of wine. After last year's pudding escapades at St John in Smithfield, I had high hopes. 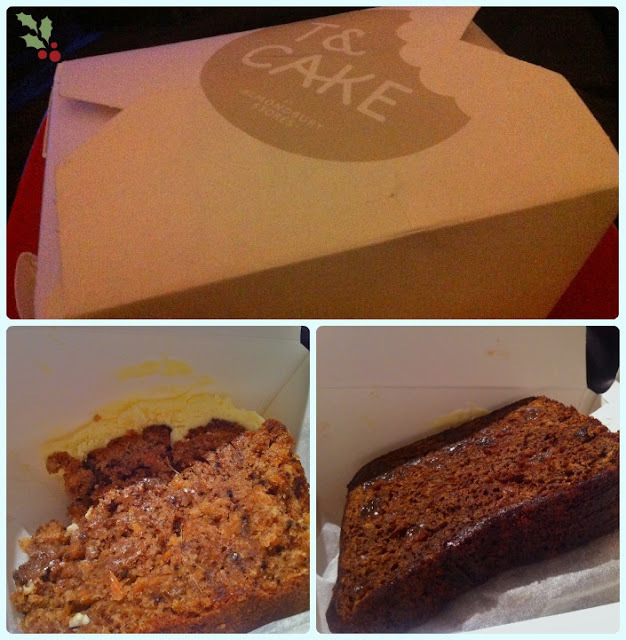 I picked the ginger loaf with butterscotch sauce, whilst I ordered my husband to have the custard tart! 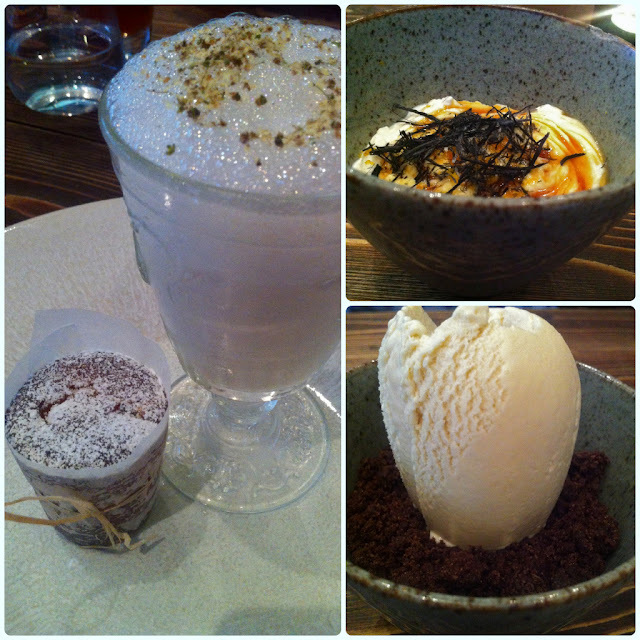 I could ramble on for at least twenty three pages about how good these desserts were. Mine was a sticky ginger cake with a sweet sauce served with thick ice cream. Not too sickly, this was a tour de force. Texture and taste were both bob on. One of my all time favourites. Forever. The custard tart was equally as sensational. The pastry was crisp and biscuit-like (no soggy bottoms here Mary...) whilst the custard filling was smooth and creamy with a generous portion of nutmeg on the top. The best thing about St John Chinatown is that while it has a Michelin star, it is very much a laid back affair. We booked, but I am sure it is not necessary. 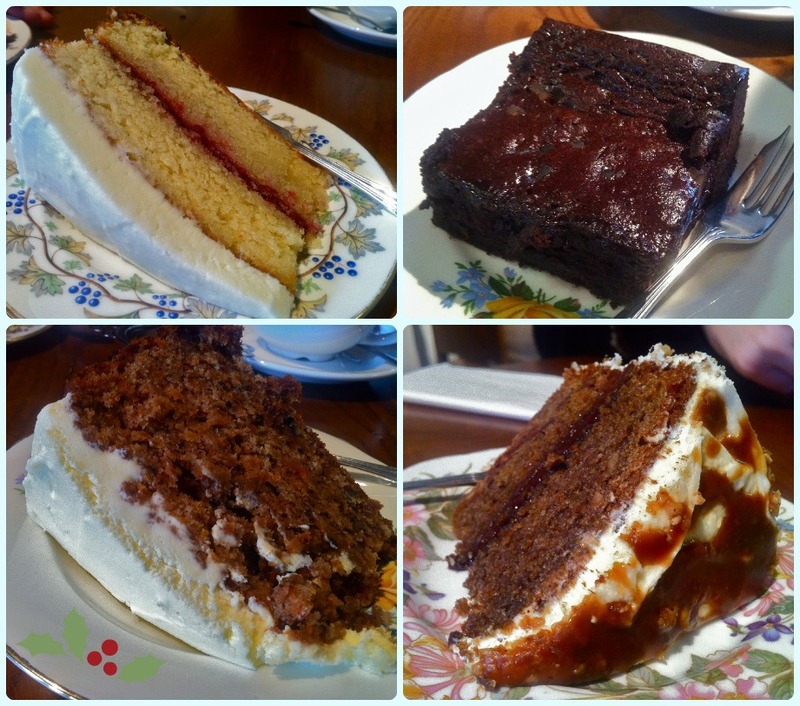 Whilst we were there a lady came in for just a dessert and a cup of tea, another just for a coffee. It's that kind of place. They cater from everything from a single cuppa to a many-plated banquet. Every year we mark our anniversary by having a few days away. This year was slightly different. 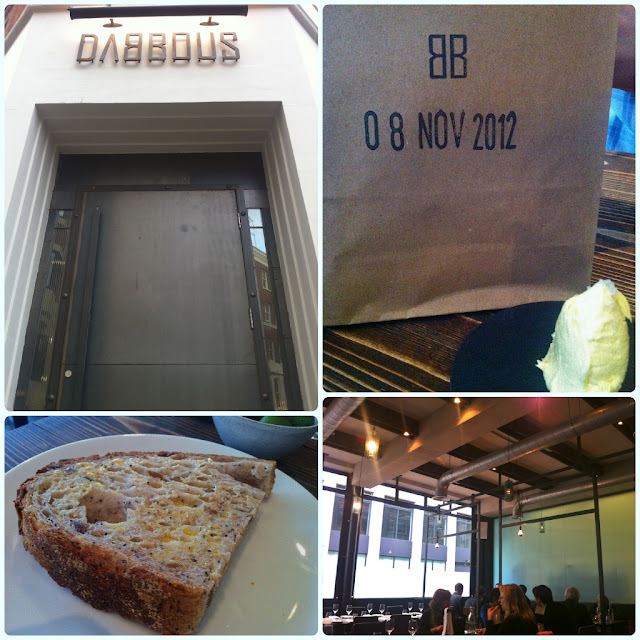 Several months ago, our good friends Wayne and Vicki (Mrs Petticoat) went to a little known place called Dabbous. Ollie Dabbous has worked at some of the world's most highly regarded restaurants, including Le Manoir, The Fat Duck, Mugaritz, Hibiscus and Noma, so he really has learned from the masters. A good chef really becomes great, when he takes inspiration from his mentors, but does not imitate them. Many chefs have passed through the academies of the greats, and attempted to emulate their idols. After all, no-one wants to go to 'something like Noma'. They want the real thing. So is Ollie Dabbous the real thing? Fay Maschler loved Dabbous so much she practically shouted it from the rooftops. More raving reviews followed from the likes of Giles Coren and AA Gill. Next thing he knows, Ollie Dabbous is rubbing shoulders with Thomas Keller and Ferran Adria at Downing Street, winning awards left, right and centre and being presented with the coveted Michelin star. What does this mean for us, the humble diners? You guessed it. Tables are like rocking horse poo. We rang in May after Wayne and Vicki had such a great time, mainly out of curiosity. 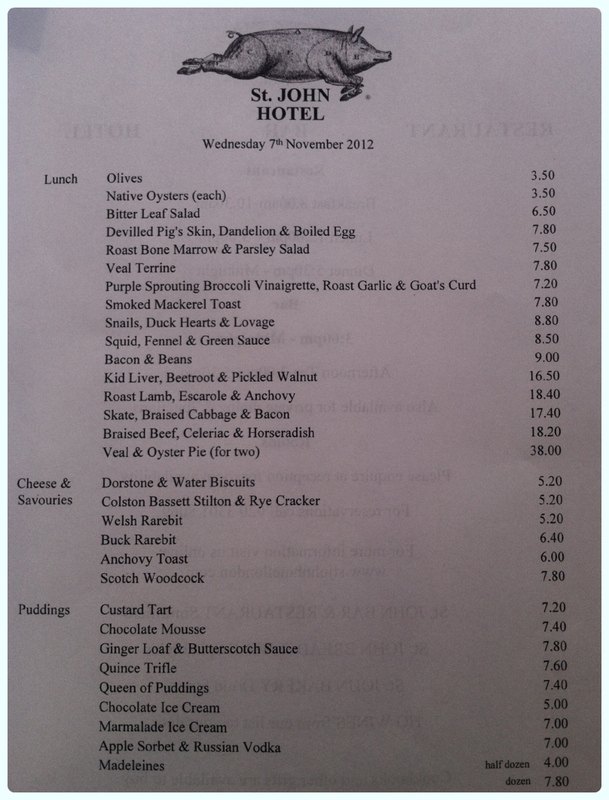 I think it was a major fluke, but there was a table available for lunch early-November. Only a couple of days after our anniversary, so we booked it. 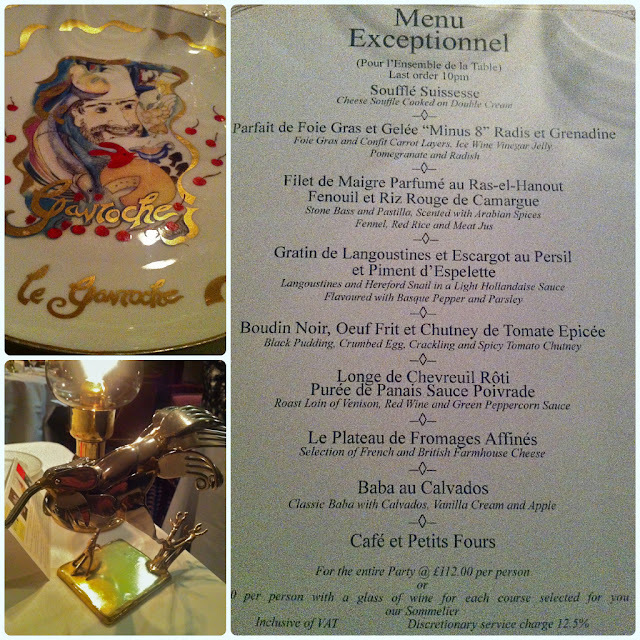 I believe you cannot get a dinner reservation until well into 2013! Since then we have heard some really bad reviews. Bothered. I have this theory. I have seen it in action many many times. Some people love to hate popular things for no other reason than they like to go against the grain. With restaurants, there is often an air of 'everyone says it's great, but it's still not good enough for my high standards'. I'm sure some people have genuinely had bad experiences at great restaurants (as have we), but folks, I urge you to go to a restaurant with an open mind and with the aim of enjoying yourself. On that note, we were off. 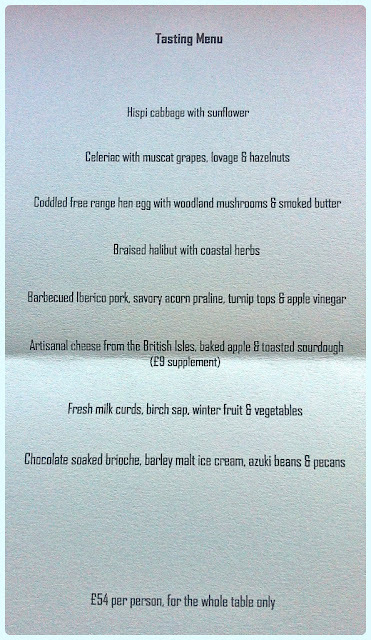 Although we contemplated the lunch menu, we quickly binned that off in favour of the tasting menu. I love a tasting menu because it gives you the opportunity to try a selection of dishes picked by the chef. 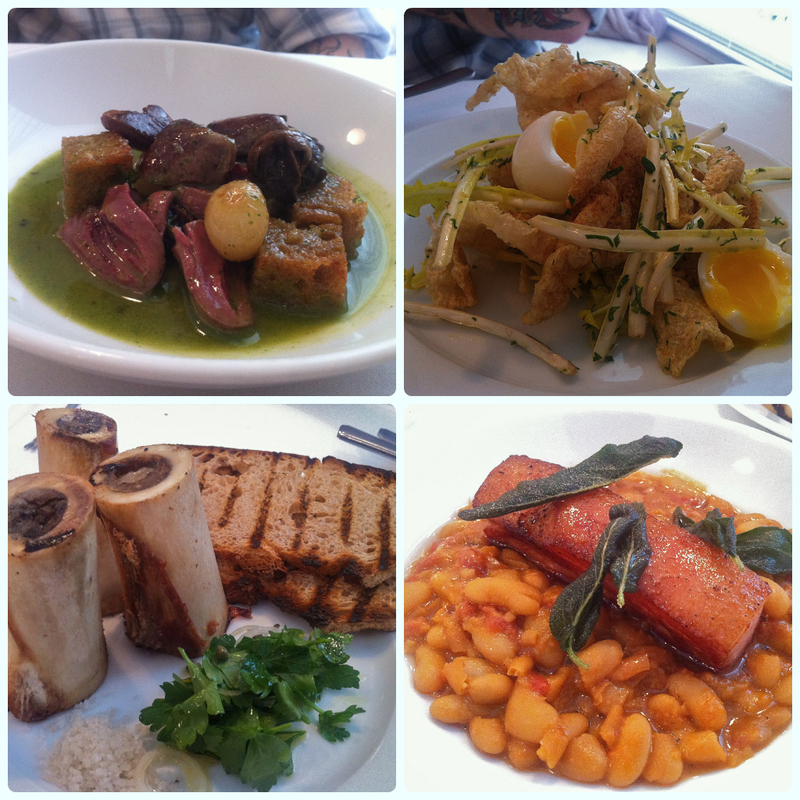 When allowed to be, I can be quite a fussy eater, so tasting menus often force me into trying something new. For example, I would never order fish from a menu, but the stone bass from Le Gavroche will remain one of my favourite dishes of all time, as will the now legendary 'razor role reversal' from L'Enclume. 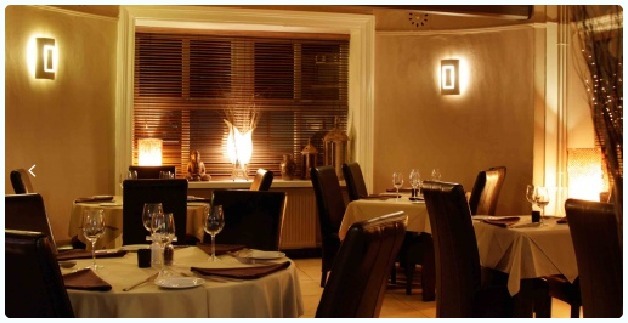 The interior of Dabbous is far removed from the quintessential 'one Michelin star' experience. No table cloths, casually dressed staff and music in the background. It feels a little like walking into All Saints, although there are no vintage sewing machines in the window here. The people dining here are diverse; ranging from businessmen to Le Gavroche chef Monica Galetti (yes, we were exceptionally excited...). Within a few minutes a cute little brown paper bag appeared with some butter. No, he hasn't gone quite mad (although if anyone starts serving brown paper and butter, I predicted it first...), the bag contained two large slices of soft seeded bloomer. It also has the date on so doubles as a nice keepsake. 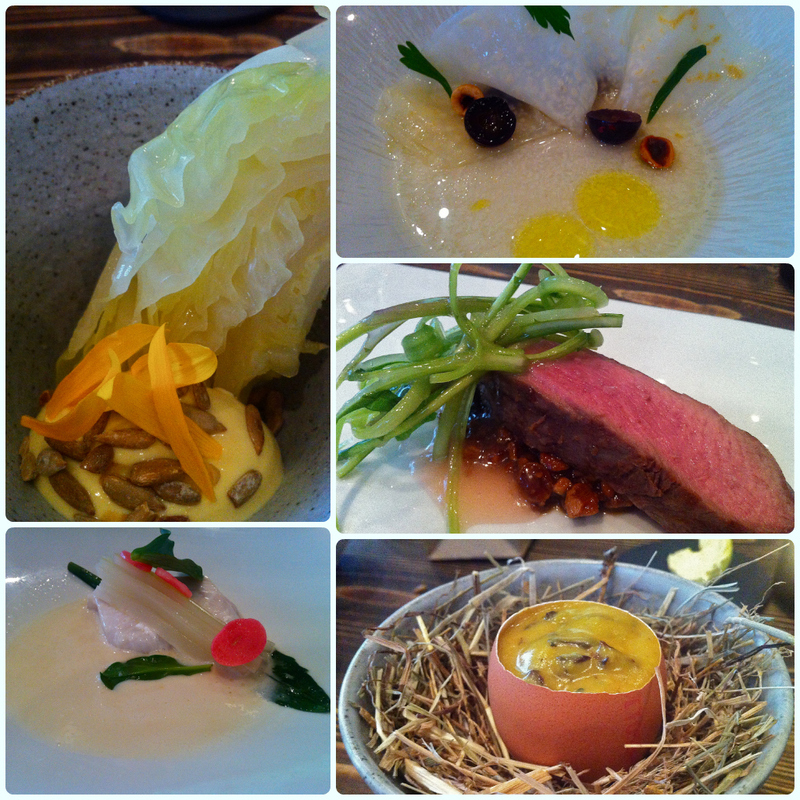 Ollie Dabbous' food is pretty. He is also very fond of seeds and nuts. Nearly every course served to us had some form of seed or nut involved, and vegetables were generally served in their simplest form but with maximum flavour. It reminded me a little of Frantzen/Lindeberg in terms of getting masses of flavour from something relatively uncomplicated. For example, the celeriac with muscat grapes with lovage and hazelnuts was packed with flavour, despite it's rather insipid appearance. The liquid which surrounded it was clear but tasted strongly of celery, whilst the couple of sliced muscat grapes scattered over the top were very sweet. The celeriac was firm and the hazelnuts were toasted and crunchy. This was like nothing else I have ever eaten. An epic collection of flavours and textures. My favourite dish was the coddled egg with woodland mushrooms and smoked butter. Hell's teeth this was fantastic! The texture, the flavour, the presentation... it was all going on! Similarly, the iberico pork with acorn praline was just amazing. The caramel of the praline brought out the sweetness of the barbecued pork. 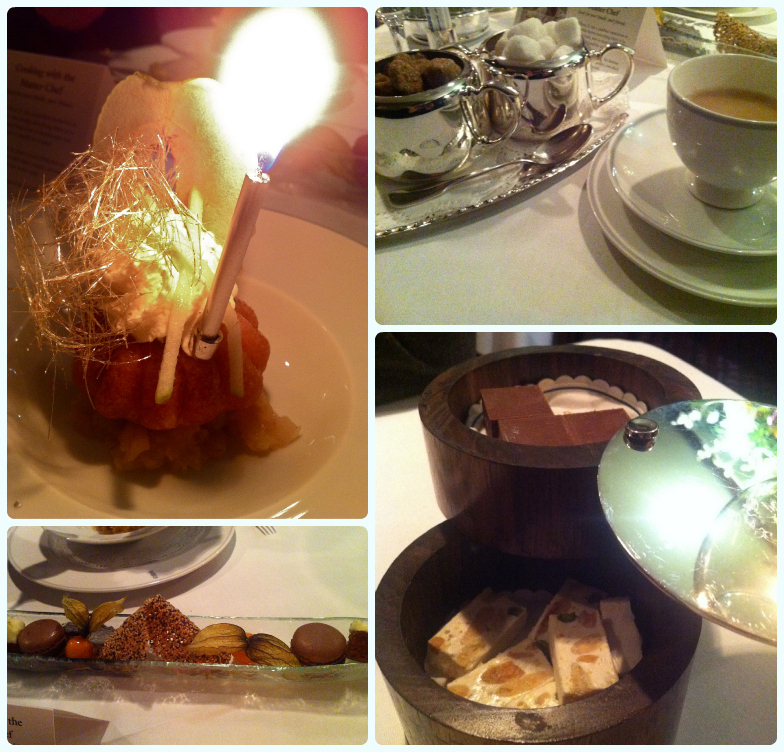 The apple cake was everything I hoped it would be. The milk curd dessert was a little too rich for me, whereas this small cake served with fragrant frothed milk was beautiful. Very light despite its appearance, my only concern was that I wanted more! (Pig). 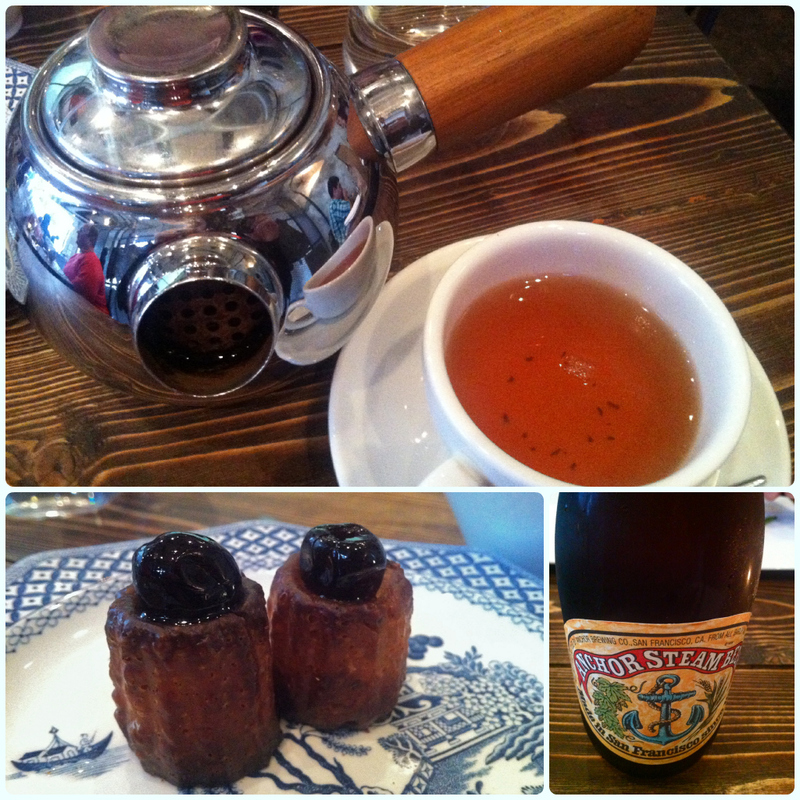 Our tea came in a fantastic-handled pot and was served with two beautiful petit fours topped with cherries. I liked these a lot. Little chewy, nutty cakes. Yum. I also forgot to mention that my husband was absolutely thrilled to see Anchor Steam on the menu too! Dabbous - we salute you! I am not a restaurant critic. 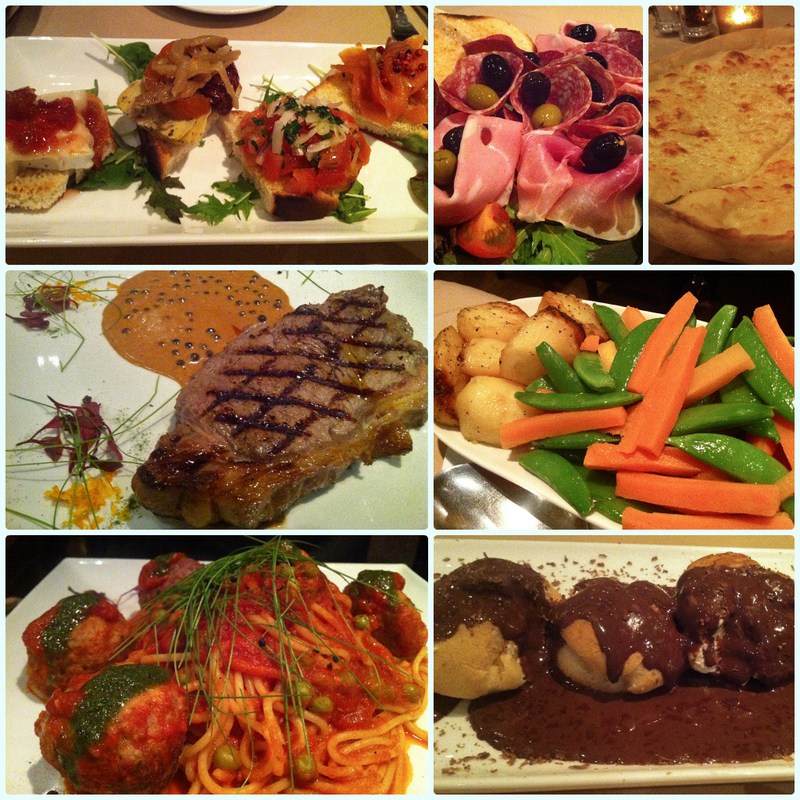 I am just someone who loves food and likes to share my experiences with other people. I love it when someone tries somewhere I have recommended, and loves it too. I'm not interested in writing scathing reviews. That's not what my blog is about. I like to write about happy times in the hope that you will enjoy it too. Therefore, my opinion of Dabbous is purely as someone who went in with an open mind. 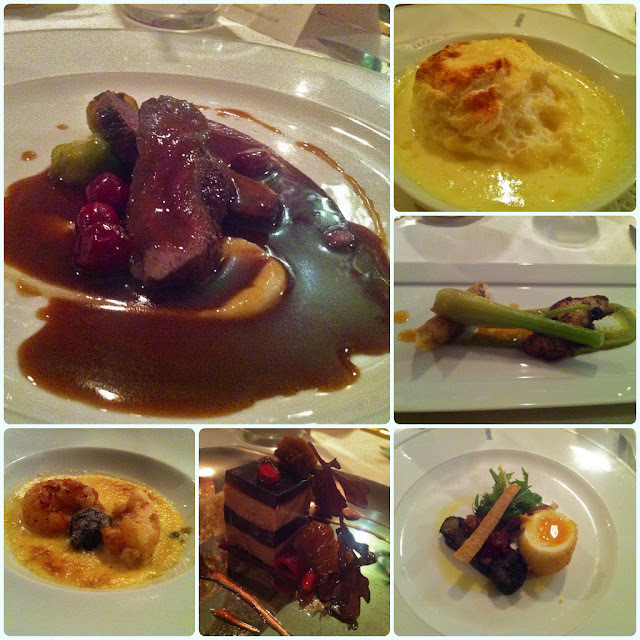 I enjoyed the dining experience, the food was different to what I have tried elsewhere and some of the dishes truly stood out as being spectacular. Is this restaurant going to change the world? No. Does it matter? No. Just go and have a good time. Finding Ladurée is your first mission. It's nestled at the back of the ground floor of Harrod's, but you have to go through the watch section to find it. Alternatively you can reach it from the street via the back of the shop. There are three others in London, but I particularly fancied the one in Harrod's. The entrance alone is spectacular. It reminds me of some fantastic toy shop, only it is filled with cakes rather than teddy bears. I have a little confession... there were massive 'no photography' signs everywhere. Oops! 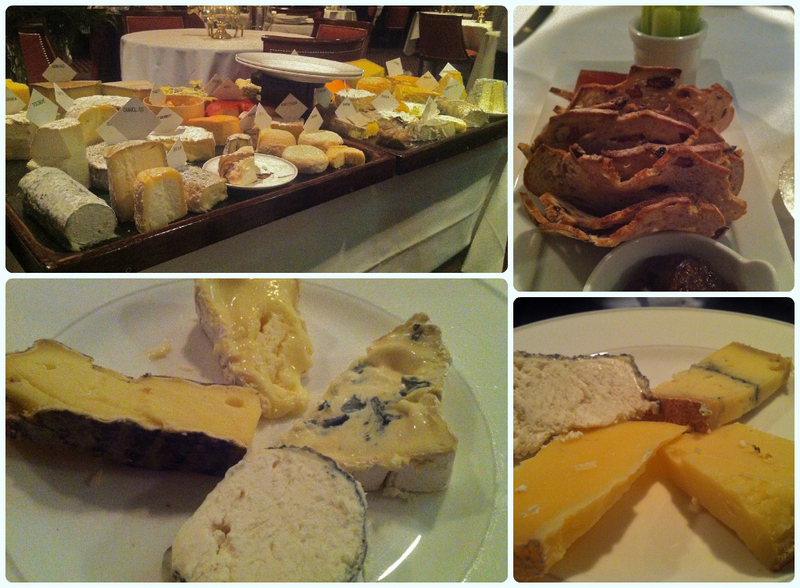 How on Earth could I eat somewhere so spectacular and not document it? It would have been a crying shame... so... on the sly I pretended to text! 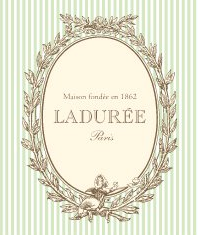 Ladurée combines classical French service with some of the finest examples of cakes I have ever seen. 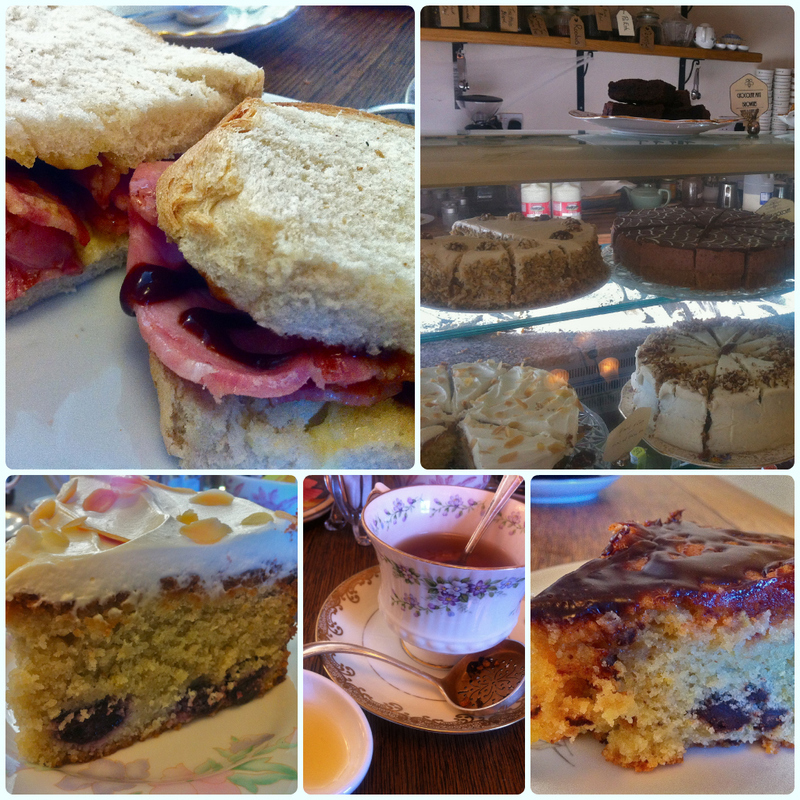 Their menu is vast, with a wide variety of cakes, teas and coffees. 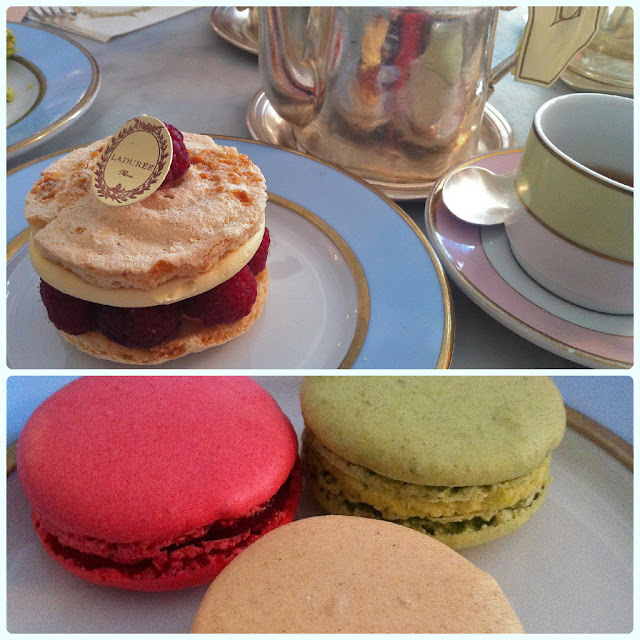 My husband picked the Marie Antoinette tea, which was a mixture of black tea with rose petals, citrus and honey. This was sweet but not over powering. I had the Thé Mélange Spécial Ladurée; a mixture of black teas, rose petals, orange, bergamot, vanilla, cinnamon and caramel. Amazing! To accompany our drinks we had a selection of macarons in raspberry, almond and pistachio and a wonderful towered meringue, raspberry, cream and almond cake. I could eat one of these on the hour, every hour. Unbelievably good! The macarons were chewy with a crisp shell. There was nothing here that I did not love. 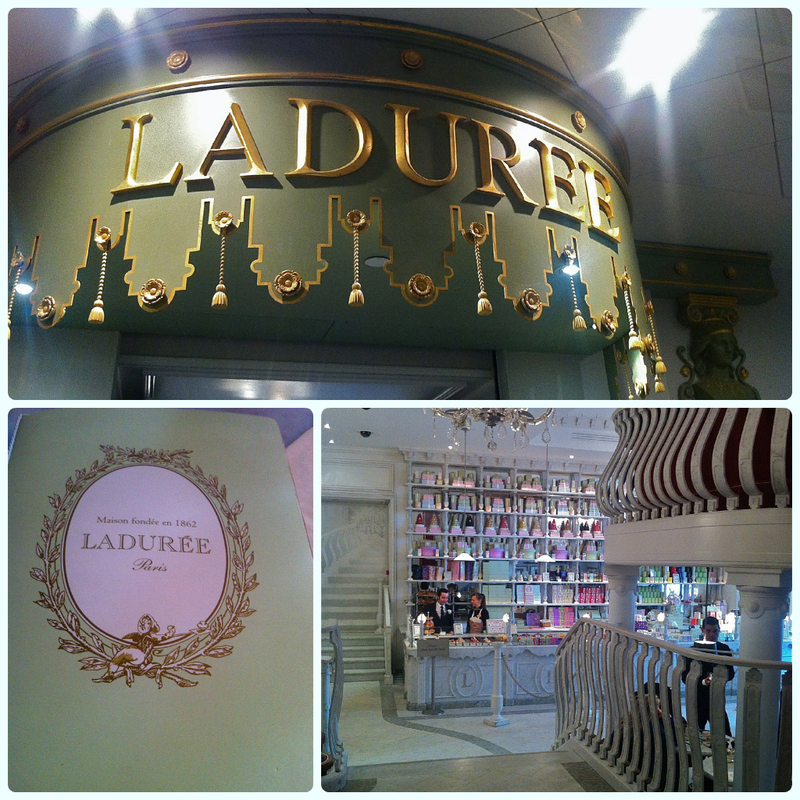 I think Ladurée will become our new pit stop whilst staying in London. A few weeks ago, we were having our morning cuppa before work when something caught our eye on the BBC news. 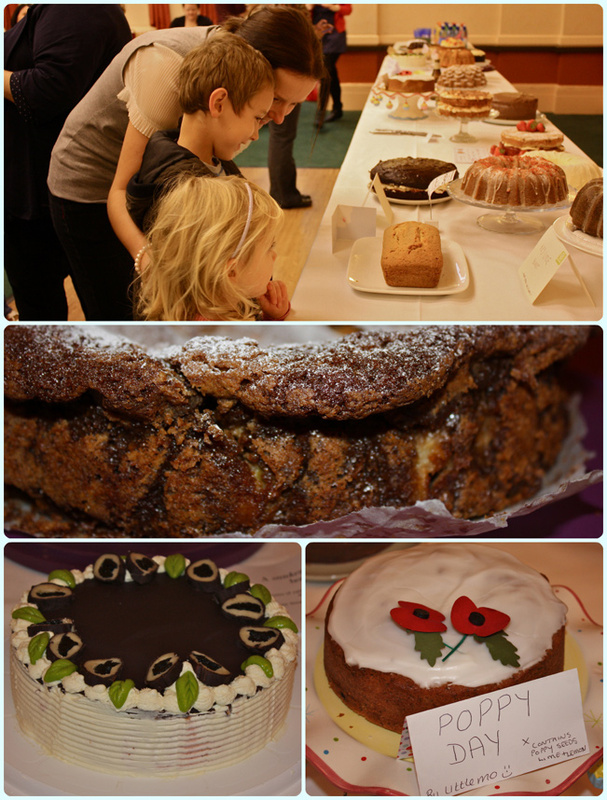 We heard the key words 'tea shop' and more importantly 'cake'. Sold! The BBC reporter was live from the Tea Hive in Chorlton. 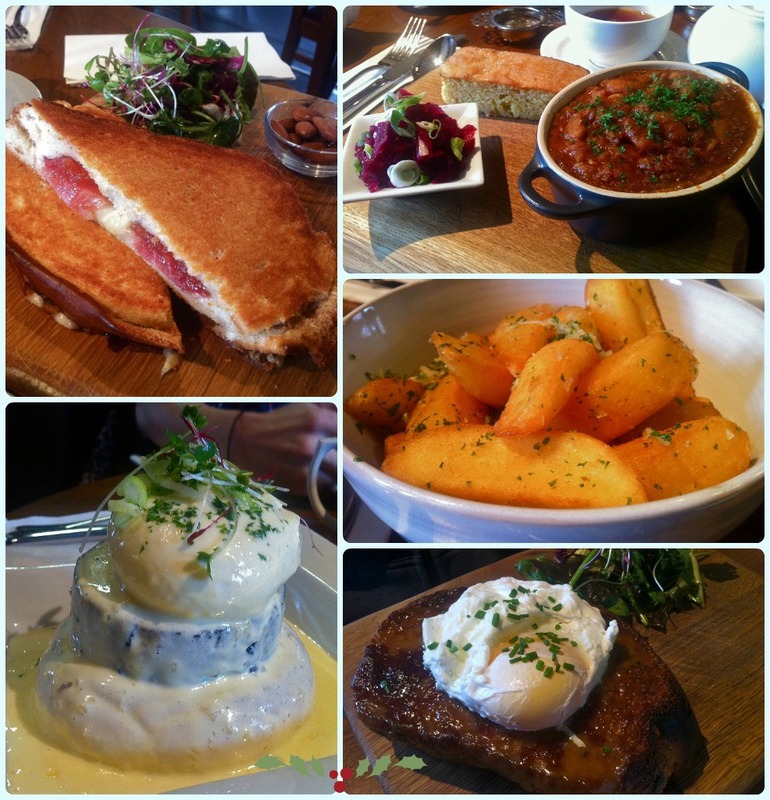 We are always really busy at the weekend, so when our plans changed on the last minute we decided to pop over to Chorlton for a spot of breakfast. Breakfast which involves cake. We both decided on a bacon butty on thick doorstep bread. The bread was soft and fresh and the bacon was perfectly crisp. I added brown sauce and my husband had his with cheese. Fancy. They have lots of different teas to choose from, but because there was a bit of a nip in the air I decided on a nice house chai. Not too spicy, just the right amount of heat to warm the cockles. 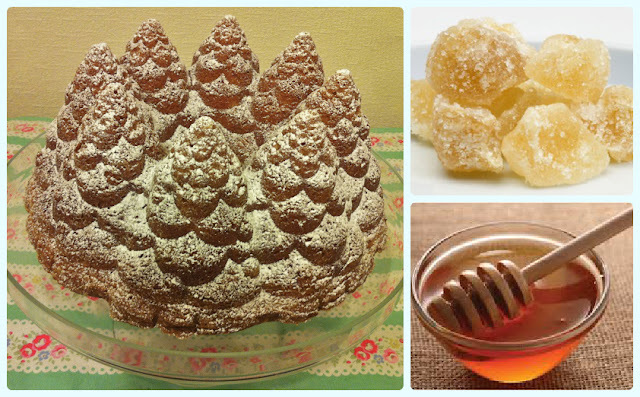 I don't take sugar in my tea, but this was served with honey. Couldn't resist... Turns out it's lovely in chai! 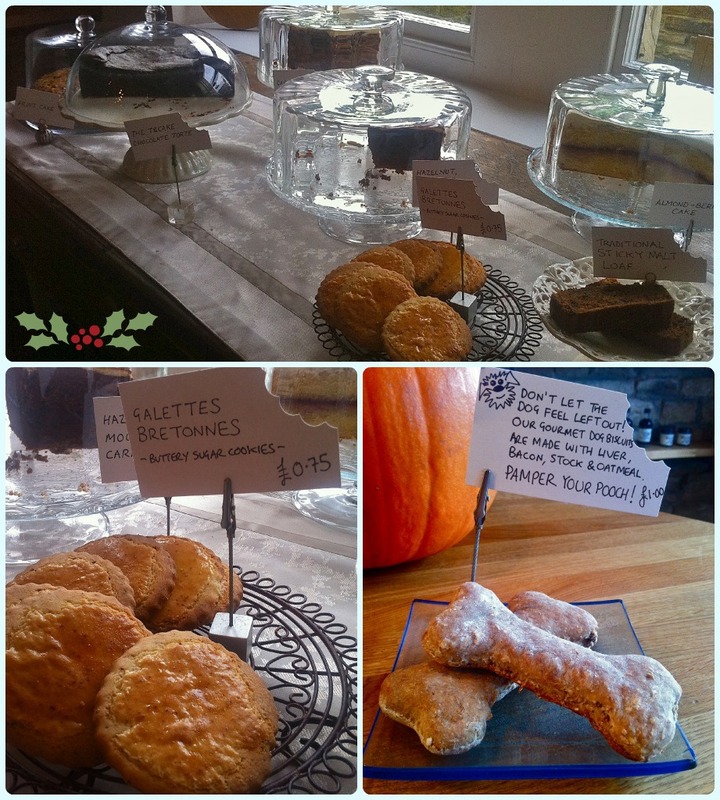 I was not leaving this establishment without sampling some cake. 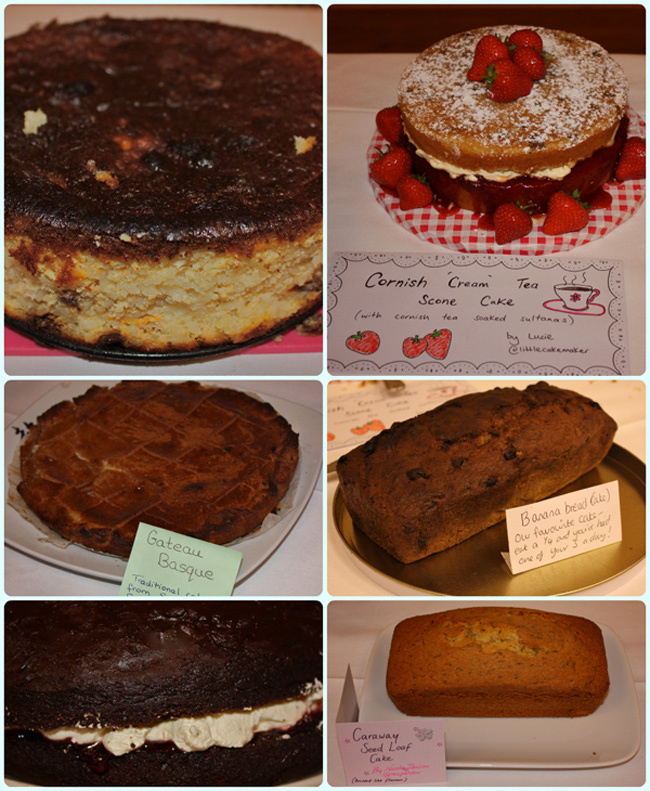 After much stalking of the counter, I picked the almond and cherry cake and my husband had the sunken orange and chocolate cake. These slices are massive! There are no skinny portions here ladies and gents! Saying that, don't share one. You have to try at least two! Mine was a nice firm sponge with real cherries and cream cheese frosting. My only criticism was that I would have preferred more sugar in the frosting. But that's just my preference. The orange and chocolate cake was really dense and moist; the perfect amount of cake clagginess to accompany a hot drink. Lovely.